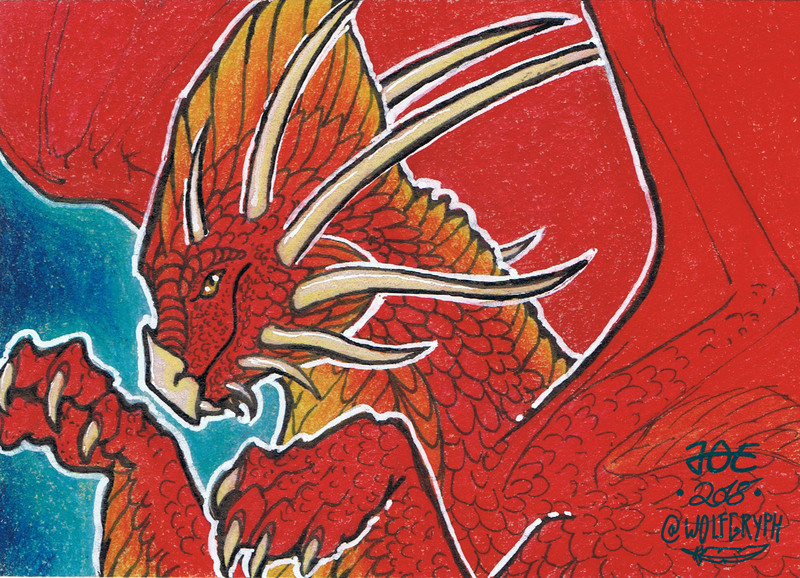 ACEO I did for the ACEOfursXchange group on deviantart. This one is for LadyFromEast of her character Adramus. It was a pleasure to work on him but also a real challenge. Polychromos on toned paper, Multiliners, white acrylic pen.